Styled with perfect jogger short , striped calf sock and the perfect slides. 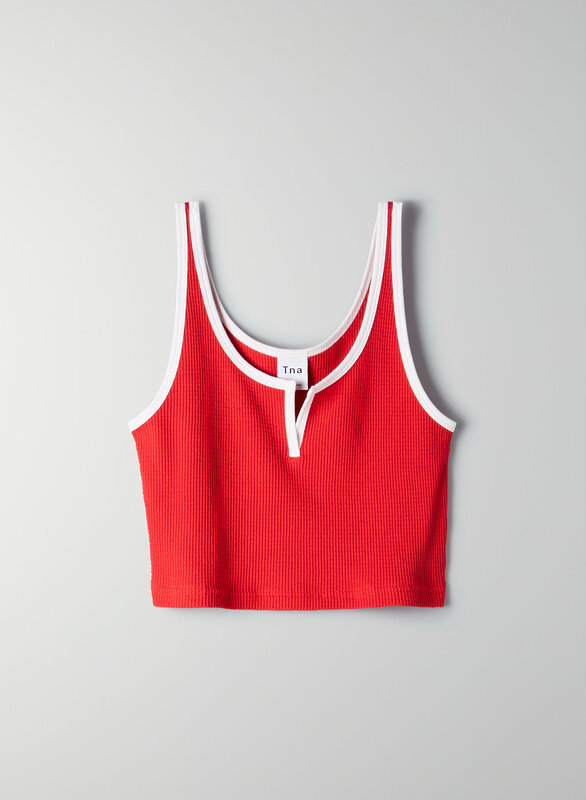 This is a cropped tank with a slit detail at the neckline. It's made with a cotton waffle knit.